NYC apartment cocktail hack: use a covered casserole dish as a punch bowl for parties. (Gets used a lot this way. 🤓) One of my favorite books for big-batch cocktails is one called Punch Bowls and Pitcher Drinks by Jeanne Kelley and Sarah Tenaglia. It’s got a lot of clever recipes separated by season, which is my favorite way for cocktail books to be organized. Made this round of drinks for my family this weekend and it was 👌🏼. I’m a sucker for persimmons. Combine all ingredients except the anise and put in the fridge covered for 2-6 hours to let flavors develop. 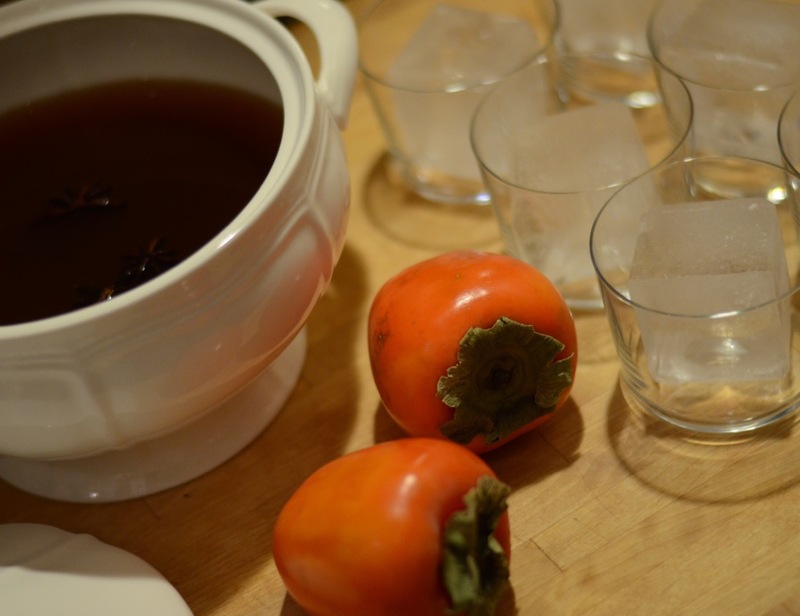 Filter the persimmon from the liquid and add star anise and let it infuse for ~5 minutes. 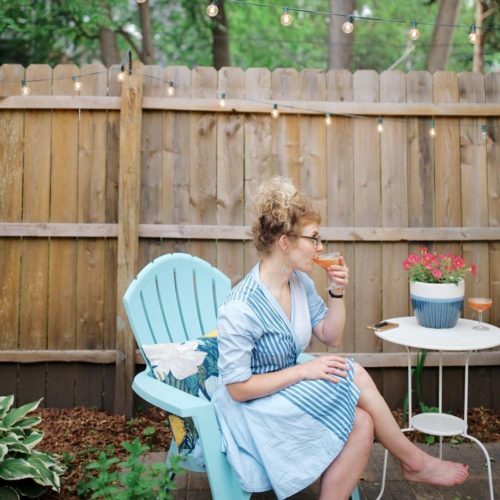 Use a ladle to serve in cocktail glasses with ice. For the allspice simple syrup, add 1 teaspoon of allspice berries into a boiling pot of syrup. (1 cup of sugar, 1 cup of water) Simmer for 30 seconds and then let cool. Sieve out berries and store in refrigerator.